Being the popular little beast that it is, the Switch now has an almost countless number of accessories for all your storage and transportation needs. 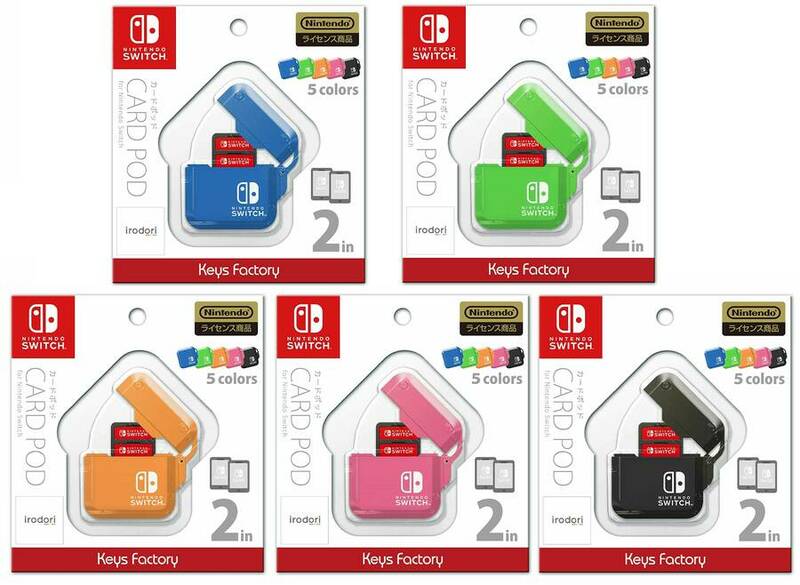 Adding to your options in the near future are these Game Card Pods from Keys Factory, a new way to store your favourite cartridges. 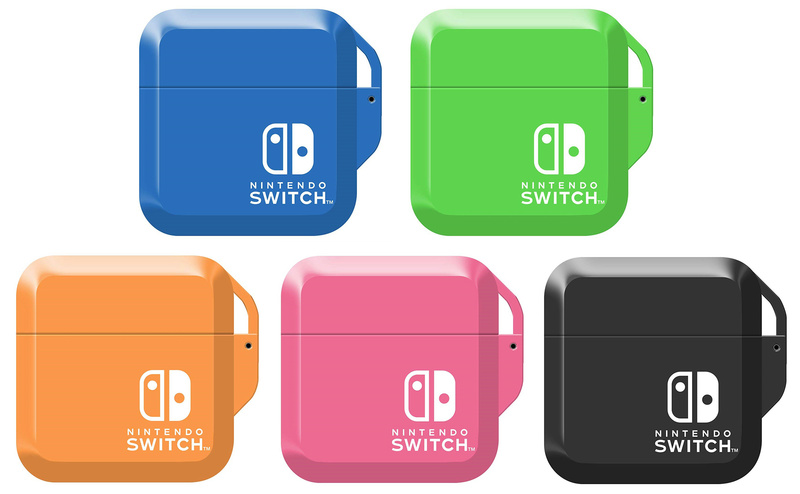 Available in five different colours - blue, pink, orange, black, and green - these pods can store two Switch games inside (or two 3DS games if you take out an attachment inside the case). The pods are officially licensed by Nintendo and are scheduled to be released in Japan in May. Pre-orders have now gone live on Amazon Japan, with each colour being available for ¥ 864 before shipping (that's around £6 / $8). Naturally, this isn't the cheapest option for housing a large collection of games, but having one or two to carry your favourites around with you safely could work nicely. What do you think? A nice little accessory, or not worth it? Let us know your thoughts down below. Design them like tiny NES cartridge sleeves and I'll consider it as a novelty item. Price here is too high for fairly limited and substitutable functionality. Doesn't hold anywhere enough cartridges to be of any use to me. I'll stick to the HORI cases that hold 24. They do the trick nicely. I've been using a couple Hori cases for my games. They are real solid, but annoyingly tight. I wish someone could make a case like the one I got from Club Nintendo years ago. 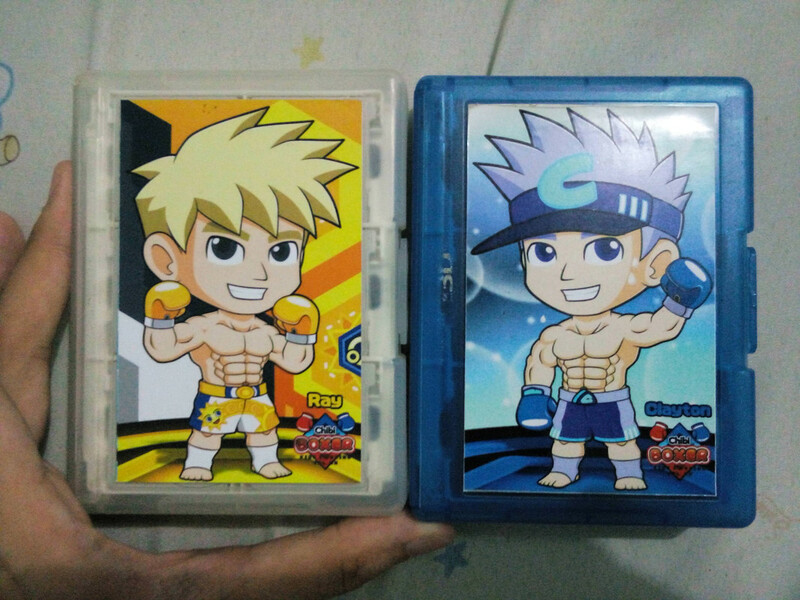 It's the same size as a 3DS game case, but holds 18 game cards and they sit just like they do in a regular 3DS case. Firm, but not super tight like the Hori design. The design looks nice, but only two games is not enough. So I'd have to lucky dip nearly 15 boxes to get the right game. I will just stick to the hori that holds 24. Wow. 2 games. That's just more unnecessary plastic garbage that our planet doesn't need. Pretty design but not worth when you can buy the Hori case which can hold 24 games. Also my Switch case already holds 8 games alongside my Switch. I have my carry case with lots of loose cartridges already inside the zipped net, these card pods take too much space for their function. Its nice they carried on the idea from years ago as they did this for the DS, but it’s kinda pointless and too expensive. Why would anyone buy something to carry two games? Seems like a huge waste of money. That said, I’m too afraid to lump all my games into a single case. I feel like the potential to lose them all at once is way too high. I can't believe NL bothered with an entire article on such a wasteful game case lol. You can do so much better out there. I'll stick with the PowerA cases, they have great designs, hold 6x more cartridges, and are about the same price. I agree. NES sleeves would be cool. The accessory itself seems pointless. just two? im sure i can find something better on amazon that can hold more than just two. "...these pods can store two Switch games inside..."
Wow...a case that holds 2 cards....which is less than my Switch case holds without any bulk at all. And way less than my HORI cases. That cost $9 for the whole thing. @Heavyarms55 The HORIs are great. Yeah they're tight, but not obnoxiously so. Try the PDP variant....they snap onto the carts like a death grip and require more or less bending the cart to violently snap it out. I actually sliced a finger on the rough plastic in the break-away of the cart one time. I threw it out and bought another HORI. Hori 24 all the way for real Switch gamers. Maybe when/if the Switch Mini comes out and if it is actually more easier to safely carry around with me like my 3DS is, I will look in to options for carrying game cartridges around with me. As it is, the Nintendo Switch is too large to fit in my pocket with out looking like I am a kid carrying around my toy with me, and the fact that it doesn't have a built in lid to protect the screen is a no go for me. I’ve got a slim carrying case that holds 10 games and a charge cable. It was $8.99. I’m good with that. Cash Grab is what I call it. Hori 24 for it's plain jane looks does what it does hold the game with reasonable price for them. if they did something similar but for a bigger storage yes, but agree this is a real waste of material for just 2 games. @Heavyarms55 I got 4 of those cases from Club Nintendo, they were excellent. @Heavyarms55 I have that case that uses a bi-fold design and holds 8 games. Has various designs on the outside like a Pow block. Can't remember who made it offhand. (Might be PowerA.) Material inside is like a soft rubber that holds the cards nicely. Meanwhile, here I am sticking 6 Switch games in a small GBA-case. They only hold 2 games? Good way to lose a couple of games. @RazumikhinPG Exactly. Mine holds 20, and didn't cost very much at all. Can only hold two cartridges? What's the point? Reading the comments took the words out of my mouth. If I fill up my Hori Case then my actual switch case still holds games anyway. There's also a cool one on eBay that holds 60. That's more my jam. So yea 2 is pretty ridiculous. "There's also a cool one on eBay that holds 60. That's more my jam. So yea 2 is pretty ridiculous." What is the brand name ? Two, what's the point? My switch travel case holds about 15 and it's still not enough. I'd cop the blue and pinks ones. I have travelcases, each carrying around 8 cardridges. I see no point of buying a case just for two of them. Waste of plastic and money. Espe cially with opaque colors that hide which cards are inside. Given how minuscule switch cartridges are, I can actually appreciate having little cases to throw them into. And comparing these to 24 or even 60-game cases is apples and oranges. But in the end, I come to the same brick wall everyone else hit here: TWO GAMES? REALLY?!? Show me a case like this that holds 4-6 games, I'll consider it as a possibly useful item. A two-game case is not worth the plastic it comes packaged in. Which I've just ordered from Amazon UK. @TadGhostal "There's also a cool one on eBay that holds 60. That's more my jam. So yea 2 is pretty ridiculous." Same here where are you seeing that? And if so I doubt it the same size as Hori 24. You should clearly state they are not a plastic case but more like zipper pouch type instead. There is also a foam holder but that is way to big for storage. 2 slots won't do anything for me. When I first got my Switch, I did not have a case on the first day. I carried 8 cartridges in the super small Altoids tin (https://goo.gl/9ZwtSD) and (https://goo.gl/SpeM99). I have 2 Hori cases that hold 24 each for $9.99 each, the smoke color and a light blue with Link on it. I use them when packing everything in my ThinkGeek Bag of Holding Con-Survival Edition bag I got for $10 on clearance (https://www.thinkgeek.com/product/1a1d/). But when running around town...my TomToc slim case has 8 games slots (https://goo.gl/a1TpKM) and my TomToc medium case has 18 game slots (https://goo.gl/MyqCEK). I 3D printed 2 double-sided game holders (https://www.thingiverse.com/thing:2791729) that holds 6 games on each side to slide into my pocket when carrying TomToc slim case or to go in the TomToc medium case. With both, I can carry 24 games in a smaller foot print than the Hori cases, plus 18 games in the medium case slots and 1 game in the switch = 43 games. @Anti-Matter @SwitchForce The brand's Unikeep and its not a zipper pouch. It's a little bit bigger than a DVD case. And yep it's not going to be as compact as the Hori case when it holds 60. It's portable enough for me and it's still nice having all my games in one case instead of 2 or 3. Just wanted to put it out there cuz everybody seems to think the 24 case as being the biggest.